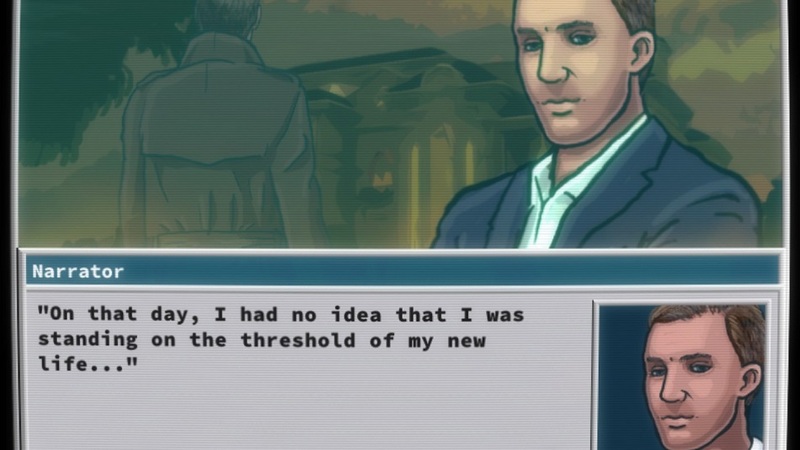 To some, putting politics in videogames is anathema, but here it’s the premise of the game. Shape of America is set at the end of the twentieth century, and episode one begins the story of an aspiring politician whose ultimate goal is to become president of a fictionalized United States. Mechanically, Shape of America is a story-driven, text-based RPG adventure. Players start off as a waiter, Nicolas Desma, who meets a U.S. Senator. The senator leaves some tickets to a political event, and Desma has to decide whether or not to attend in place of the senator — thus begins the political adventure to the presidency. Along the way, Desma will befriend a tech entrepreneur looking to get rich off the dotcom boom, a life coach who teaches others how to improve their public speaking abilities, a D.C. mayor who may have some issues with illegal substances, and even a government operative who seems to have constant knowledge of what Desma is doing. Players will need to help these characters (and others) with various tasks like visiting a banker, meeting a politician, or even pretending to be somebody’s boyfriend! Not all interactions are positive, as there are also multiple chances to deceive characters that Desma is in the process of helping. Completing these tasks, including deception, earns players money, popularity, and return favors. All choices, movement, and solutions are completed by choosing options from a menu. While the gameplay is straightforward, the story choices stress the importance of strategy. Players can only visit so many characters each day, and some tasks need to be completed by certain dates. Shape of America promises varied storylines based on the player’s decisions and there were numerous events and meetings that I never completed, so there does appear to be multiple branching paths within the story. Experience is also gained by giving speeches to various groups. During these speeches, players must use a Cartesian plane to plot the social and economic leanings of different groups, like a college lecture hall or CEOs at an economics summit. It sounds complicated, but the plots are selected from a list with predetermined values for liberal and conservative beliefs. With basic knowledge of how certain groups lean politically in real life, these speeches were never too difficult. As for the politics involved, commentary mostly revolves around events from the end of the twentieth century with a few references to modern day politics sprinkled in. However, Shape of America never skews too far left or right. The player choices always give a variety of political ideals, but I never felt that this was done to remain neutral and please everyone. Rather, the game reflects the complex political landscape of a diverse nation. This is a great starting point for the first episode, but hopefully later episodes will avoid the same fencesitting and let the player take a stronger political stance. 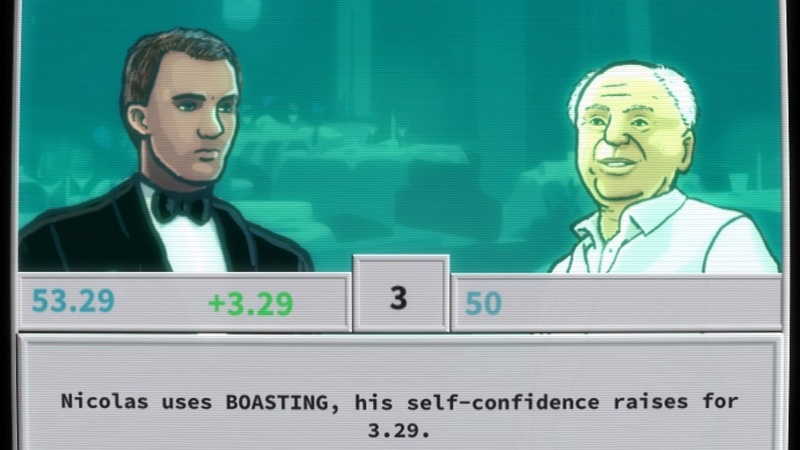 Aesthetically, Shape of America will surely resonate with older gamers. Taking place in 1999, it’s designed to feel like a PC game from that era – presentation is in a 4:3 ratio, all options are selected in windows that resemble a mid-nineties Microsoft OS, and there are even cheesy CGI logos and CRT lines during the newscasts that double as cutscenes. Since the ‘90s were a formative time in my gaming life, I couldn’t help but smile. Disclosures: This game is developed and published by Kuklam Studios. It is currently available on Steam. This copy of the game was obtained via publisher and reviewed on the PC. Approximately 2.5 hours of play were devoted to the single-player mode, and the episode was completed. There are no multiplayer modes. Parents: According to the ESRB, this game is rated Everyone 10+. Possible questionable content involves references to drugs and alcohol. The only example of foul language I recall was censored, but it was still obvious what word the character was using. Game should be fine for most teenagers. Deaf & Hard of Hearing Gamers: The game is story and dialogue driven – delivered via menus, text, and captions. A character portrait, with name, is included each time a character speaks. All sounds during important events include a visual or text accompaniment to identify what is occurring. This game is fully accessible. Remappable Controls: No, this game’s controls are not remappable. The entire game is played with a mouse and keyboard.